This multi-year partnership encompasses joint community outreach, charitable giving, and the Ultimate logo on the Miami HEAT Jersey. Ultimate’s founding philosophy was inspired by Pat Riley’s The Winner Within and the principles of teamwork, trust, and taking care of each other. In addition to sharing the same philosophy of teamwork and valuing your talent, the HEAT and Ultimate also share a similar emphasis on giving back to the community. Both organizations have long histories of volunteerism, charitable giving, and supporting those in need, so this partnership will also include combining forces in community outreach initiatives including HEAT Home Strong, HEAT Loud and Proud, and Random Acts of HEAT. 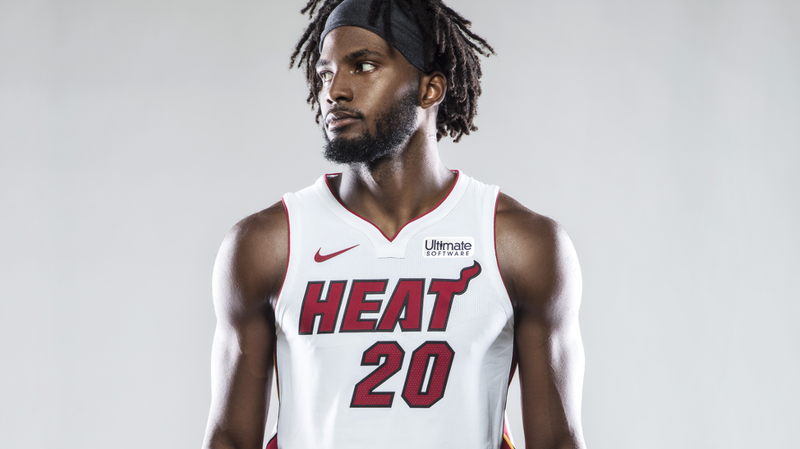 To kick off this component of their partnership, both the HEAT and Ultimate announced a joint commitment to donating a combined $1 million in support of Hurricane Irma relief and recovery. “We are taking the next steps in evolving our human resources and payroll, and streamlining our HR business processes. UltiPro offers a powerful human capital management system with cutting-edge HR and payroll technology and functionality. From personalizing employee dashboards for full- and part-time employees to completely digitizing our HR/payroll functionality by adding additional electronic capabilities, UltiPro is helping the HEAT achieve their goal of streamlining their business workflows in a paperless environment,” said Sonia Harty, Vice President of Human Resources for The HEAT Group. As part of the partnership the HEAT will be using UltiPro for their organization’s HR and Payroll.